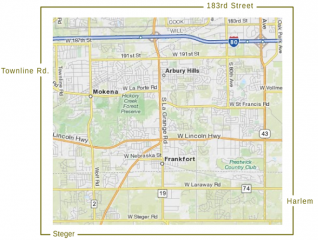 We offer many services and activities for our constituents in Frankfort, Mokena, Tinley Park, Orland Park and Unincorporated Frankfort Township. Frankfort Township is marking its 162nd anniversary this year as a truly local form of government. We are very service-oriented, providing more programs than ever for our 55,000-plus constituents over our vast area of villages and unincorporated neighborhoods. Residents in unincorporated areas rely on the range of services that Frankfort Township provides for them, including community activities and maintenance. Many of our functions are not available through municipalities or the county but we feel that they are important to sustaining a strong community. We welcome you to navigate our web-site created for informing you and helping you to a better quality of life.